Astronomy or falkiyat is included in Alim course curriculum for many institutions. We have accordingly prepared this bookshelf. Books presented overhere are aimed at satisfying curriculum requirements for students and provide them with an opportunity to go a step beyond and explore this highly valuable field further, if they are interested. 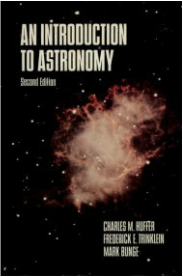 However, this book in itself is not sufficient to establish adequate background and understanding of astronomy among students. A holistic approach is required to in order to dive deep in to the ocean of knowledge on this subject. Note: We have not read all the books in this section and cannot guarantee if all information presented here is correct (scientifically as well as from Islamic point of view). However, in our initial review of books, we could not find any objectionable material in these books. If any reader comes across anything which is not appropriate, Library staff can be informed by completed the contact form available on our website. Does Astronomy still has a place in Darse Nizami Curriculum? Should it be studied separately as a specialization? Should its curriculum be revamped? How does it help Islamic scholars and Ulema in adding more value to Muslim community? You now have an opportunity pen down your views and send to 'Australian Journal of Humanities and Islamic Studies Research'. Click here to explore more.